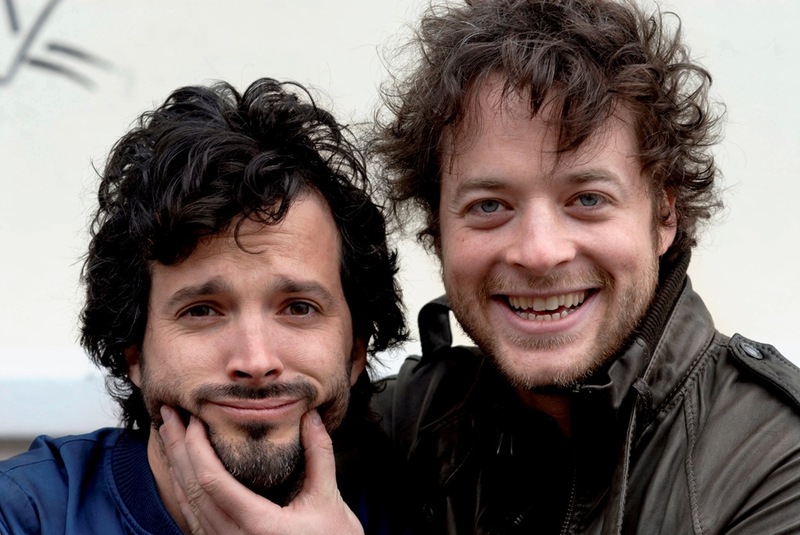 Comedians Bret McKenzie (Flight of the Concords) and Hamish Blake (Hamish and Andy) are confirmed to star in the comedy TWO LITTLE BOYS, which will begin filming in Southland in January 2011. The film will be directed by Robert Sarkies (Out of the Blue, Scarfies) and is based on the novel of the same name by Duncan Sarkies. TWO LITTLE BOYS is an irreverent comedy about Nige (Bret McKenzie) and his recently estranged best mate Deano (Hamish Blake). The film follows Nige and Deano’s riotous misadventures as they struggle with their imploding long-term friendship which has been put under pressure by an unfortunate incident involving a hot meat pie, a ginger cat and the untimely death of a Scandinavian soccer star. Bret Mckenzie stated "The Sarkies brothers have written a brilliant script and I’m really excited to be involved. There’s only so much time you can spend in New York before you wake up and think ‘Take me to Invercargill’. I can’t wait to get down there and make a New Zealand film about New Zealanders, and an Australian." Director Robert Sarkies is also pleased to be filming his third feature in Invercargill and the Catlins. “I thought at some stage I better make a film outside of my home town of Dunedin so I figured I’d buck the trend and head south. I’ve already been blown away by the warmth shown to the production by the people of Invercargill. From the Mayor down there’s been a can-do attitude that has encouraged us to shoot there”. Two Little Boys is being made with the support of the New Zealand Film Production Fund Trust (The Film Fund), New Zealand On Air, Southern Institute of Technology, Invercargill City Council, Community Trust of Southland, Invercargill Licensing Trust, Film Otago Southland, Fulcrum Media Finance and the NZ Film Commission. NZ Film, the sales arm of the NZFC, is handling world sales of the film. The film will be distributed in Australia and New Zealand by Hopscotch Films.